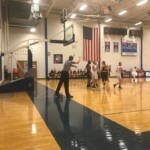 ST. IGNACE – There is another Ingalls making a name for himself in basketball gyms throughout the Upper Peninsula. 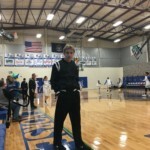 Jackson Ingalls is the son of longtime St. Ignace girls basketball coach Dorene Ingalls and former St. Ignace boys basketball coach and current St. Ignace athletic director and assistant girls coach Doug Ingalls. 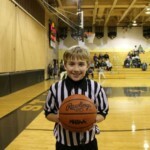 At just 15, the high school sophomore is in his first year refereeing women’s collegiate basketball games in the U.P. 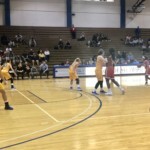 He has been approved to work National Junior College Athletic Association, NCAA Division III Michigan Intercollegiate Athletic Association and NCAA Division II Great Lakes Intercollegiate Athletic Conference women’s contests. 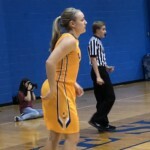 Ingalls has already reffed women’s collegiate games at Bay College, Finlandia University and Lake Superior State this winter. 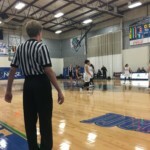 In addition to collegiate contests, Ingalls referees junior high games. 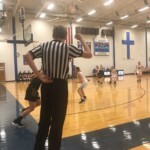 His first foray into reffing basketball came when he was in elementary school and just so happened to be a scrimmage featuring his mom’s Saints. “I think I was nine or 10 years old,” Ingalls says. “I was down with my parents at a scrimmage down in Grosse Pointe South. Only one official had shown up. So I don’t know if I’ve been watching refs or what I’ve been doing, but I said, I’ll do it. 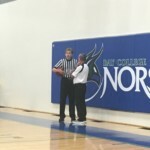 After that first scrimmage, Ingalls refereed U.P. 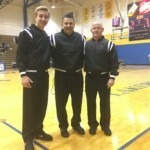 all-star games and St. Ignace Jr. Saints games as well as team camps in Frankfort, Tawas, Millington and Gaylord. 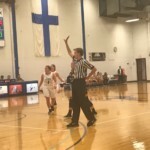 As for how he is perceived by players, coaches and fans, Ingalls doesn’t believe he’s looked at any differently than other referees. 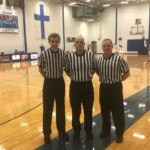 Ingalls will be back on the court Saturday officiating the Bay College-University of Wisconsin-Green Bay, Marinette women’s game. 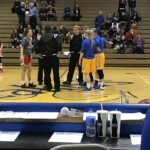 There is another Ingalls making a name for himself in basketball gyms throughout the Upper Peninsula.